On occasion, the National Center for Smart Growth and the University of Maryland Urban Studies and Planning Program jointly organize brownbag lunch seminars on topics of academic and practical importance to planners and other policy makers. Whenever possible, these presentations are broadcast live as webinars, then recorded and posted to this website. Come back often to learn about upcoming webinars or to watch a recording of one you may have missed. A master plan establishes goals and recommendations for a physical setting. But how do planners know if the plans were implemented and successful in achieving the vision? Enter the Master Plan Reality Check. This project took a systematic approach to measuring the outcomes of past County master plans, using quantifiable indicators based on the targets set in plans. The Master Plan Reality Check was initiated to analyze the degree to which a select sample of master plans have realized the vision, densities, land uses, infrastructure and amenities called upon in their respective recommendations. By assessing the difference between a plan's aspirations and on-the-ground reality, the study shed light on why some plan aspects materialized as envisioned and others did not. 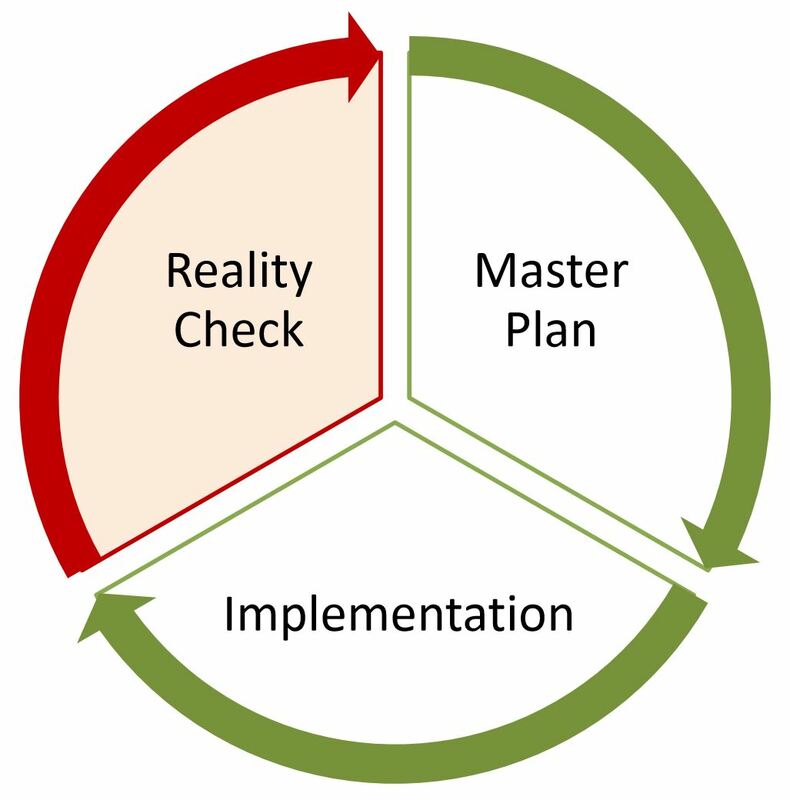 The plan reality check assessment tested traditional assumptions to determine whether they should be modified based on indicators and past performance. The results will influence the direction of future planning efforts in the County.